Four ACC players could go in the first round of the NFL draft. Former five-star linebackers Stephone Anthony and Tony Steward have something to prove this spring. 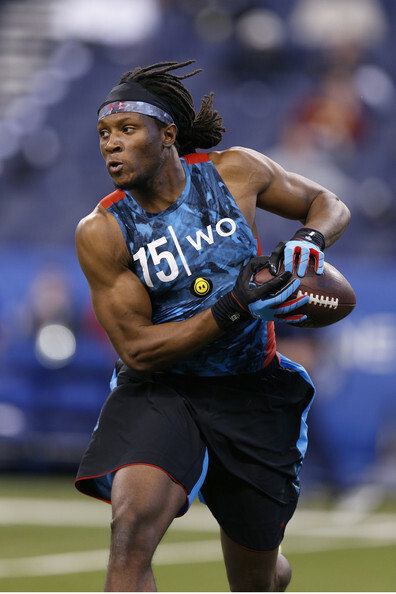 Former Clemson receiver DeAndre Hopkins held a private workout for the Panthers. Georgia Tech is doing well in winter workouts. Maryland's Brad Craddock appears to be a changed kicker. Pitt athletic director Steve Pederson has gotten a bad rap. Going over some of Virginia Tech's winter workout numbers. ACC versus the Big 12 instead of the Big East? Woot woot. Clemson has put on the pads and started to get down to business. Georgia Tech hosted its junior day on Saturday in anticipation of what could be the largest recruiting class in the Paul Johnson era. Former FSU quarterback EJ Manuel credits his success to his faith and his father. The lack of information regarding UNC's academic scandal is poisoning "Public Ivy." Miami versus the NCAA continues. Clemson quarterback Tajh Boyd will again work with quarterback guru George Whitfield in California. Pitt redshirt freshman Mike Caprara surprised a few by showing up on the first-team depth chart at middle linebacker. Running back Naesean Howard, Syracuse's first 2014 recruit, is ready to hit the books and get to college.